Warren’s Technology Department supports High School student’s Chromebooks on school days during periods 1 and 2 (7:20am-9:30am) in the Chrome office located in the Media Center. 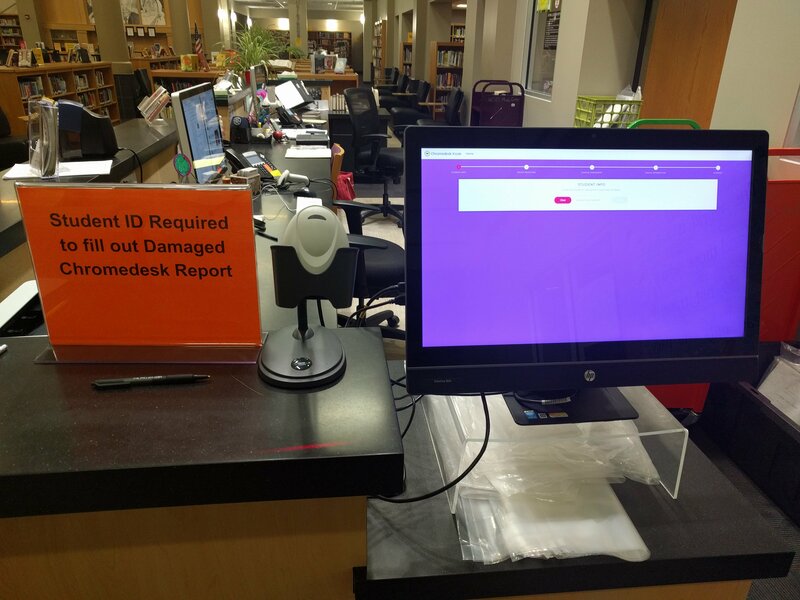 At all times, students may use the Chrome Kiosk located at the Media Center circulation desk. The student leaves the Chromebook and accessories with the Media Center staff and a help desk work order is automatically created. Students are notified when their Chromebook has been repaired. We strive to return the Chromebook to the student within 2 school days but can often be sooner.